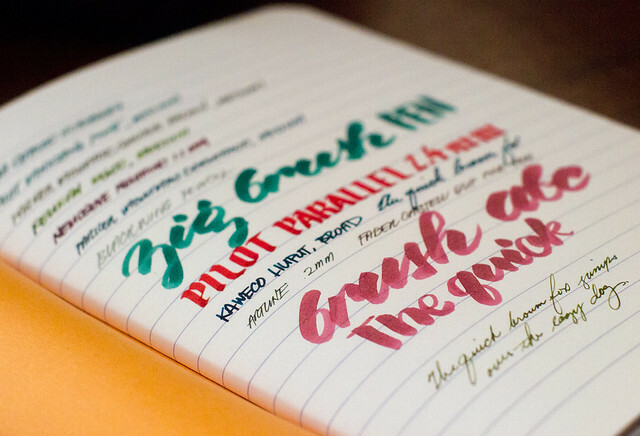 Here’s another Rhodia paper product that I’ve only tried recently. 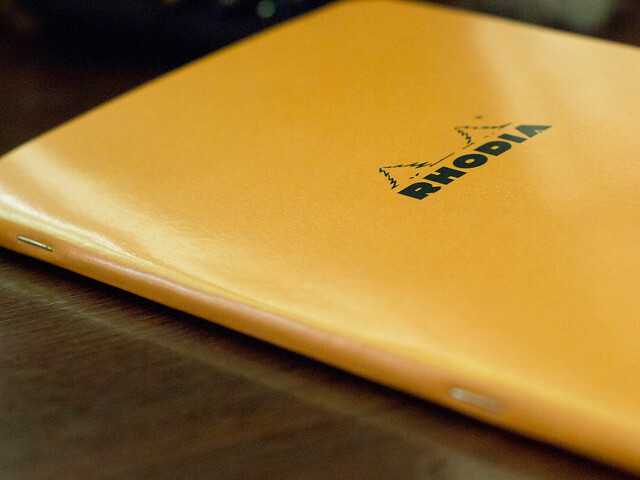 It’s the Rhodia Classic Stapled Notebooks. It’s a lot more affordable than the web notebooks (P199 per piece) and only comes in lined and graph. The cover looks pretty simple. Just the basic soft cover in orange, black, and white. It looks like something I would have loved to use for class notes. As the name implied, the notebook is staple-bound, which is why it’s more affordable than the other kinds of notebooks. 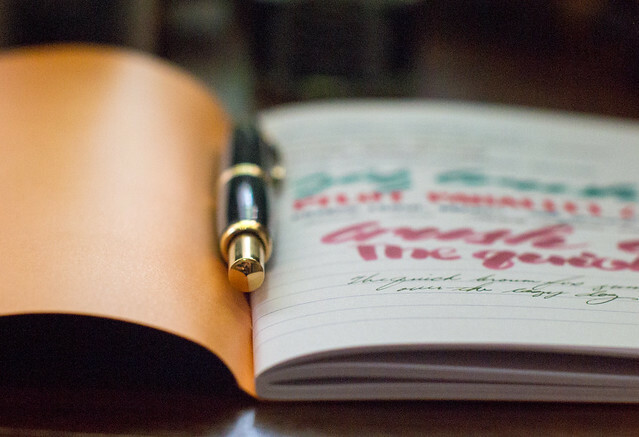 While it’s pretty useful for basic writing, note-taking and other casual writing, it does have some drawbacks. The cover is pretty thin, and it’s a lot harder to lay flat unless you weigh the cover down. It doesn’t have the premium feel of the web notebooks, but course this was not designed to be the luxurious leather-bound journal, it’s the affordable, rough and tumble cousin that you can take anywhere. It’s light, it’s no-frills, and the paper (while different in texture and quality) is still quite good. 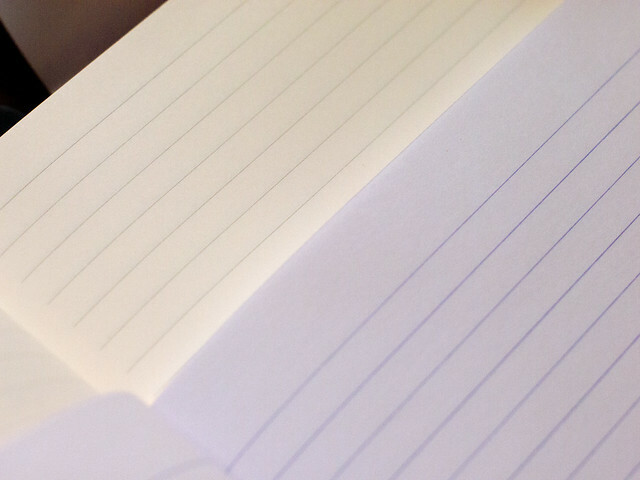 The paper is 80 gsm, with lines that are a bit purplish-blue, reminiscent of the notebooks I used back in my school days. The lines were noticeably farther apart than the webnotebooks. 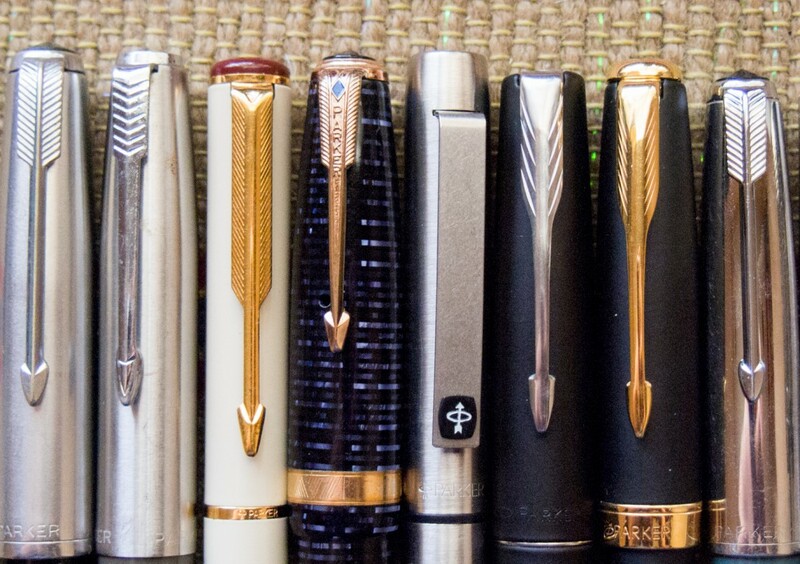 The paper is not as smooth as the webnotebooks, but it’s still very fountain pen friendly. Doesn’t show off sheen or shimmer too well, but shows off shading just fine. It also holds up well to parallel pens and brush pens. It doesn’t feather or bleed through, and the show through is very minimal. Pretty good for an affordable Rhodia notebook. If you need a good fountain pen friendly notebook for casual writing and note taking, this is a great choice. 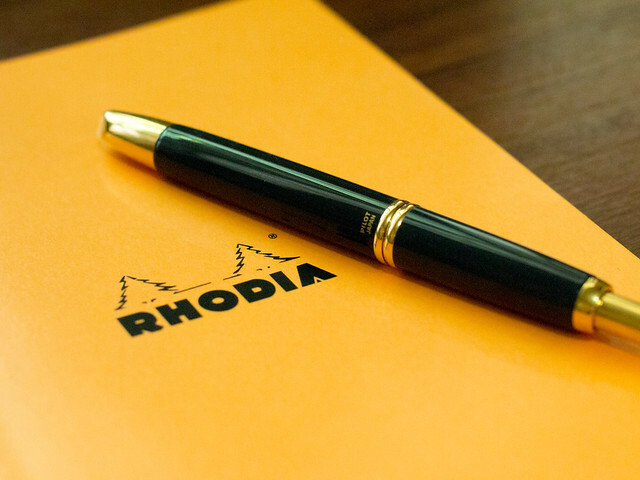 Rhodia Classic Stapled Notebooks are available at Everything Calligraphy. Hi Pao. I use these notebooks as fillers for the tn-style A5 leather covers of Sunday Leather Craft and 11_11Handmadeph. Works really well. Oh I didn’t think of that. Yeah, this kind of notebook will make for good fillers for TN-style journals pala. I should try that. I wish this came in FN size! !